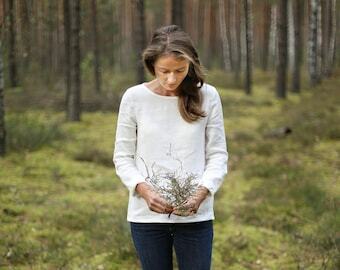 Enjoy the warm breeze of summer while wearing soft Baltic linen. 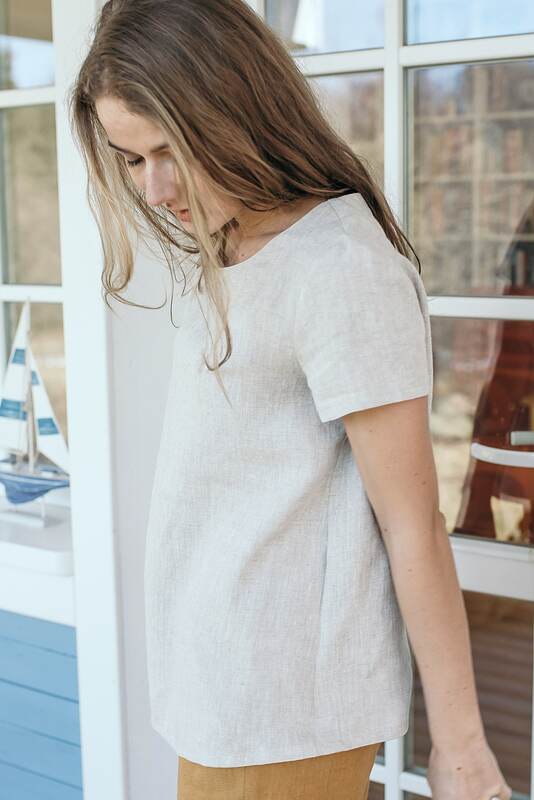 This long tunica from washed linen will let your skin breathe and won‘t restrict your freedom of movement. Guaranteed – it‘s handmade with love! - Making time: approx. 3-5 working days. Please note that the appearance of linen colours may vary depending on the screen of your device. Length from the lower to the upper seam 60 cm / 24". If You prefer it shorter or longer, just let me know. I‘m eager to make the best fitting garments for You, so don't hesitate to leave me a note with your measurements (bust, waist, hips and wanted length) while making a purchase or just send me a message with your details. Waist: fits waist around 94cm / 37"
If You are not sure, which size to choose, please contact me for the details or some advice – let‘s find the best solution for You. - no ironing, but if needed, iron inside out. Wrapped in light (dark deep blue colour) silk paper. Packed in black carton box (measurements 21x21x7 cm/ 8.5x8.6x3") which closed with black ribbon. Great quality, easy Communication, fast delivery, everything is Fine. Beautiful blouse. Very well done. Nice material and aesthetical packaging. I recommend this product. 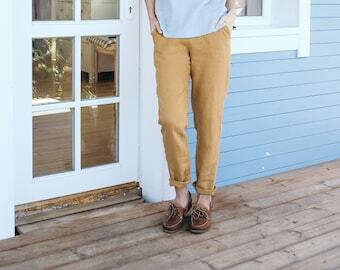 Very well made, flattering fit and the light blue linen is a lovely colour. Shipped even faster than expected. Classic white linen shirt. Women's top. 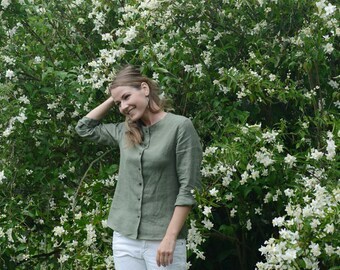 Washed linen blouse. Soft linen shirt. Elegant tight fitting washed linen dress with zipper. Women dress. Soft linen dress. Wide Linen Blouse. 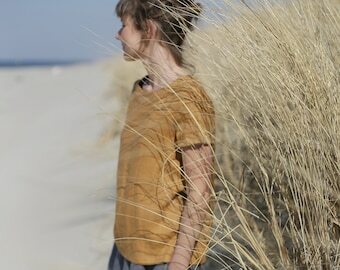 Washed soft linen top. Women's shirt. 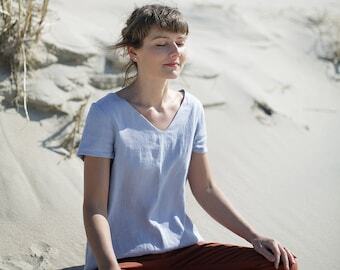 Loose linen blouse. White top.